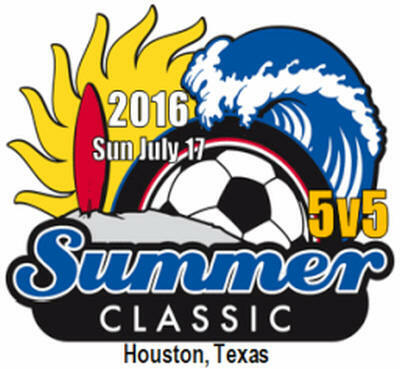 Click for link to Texas State 5v5 Championship. This 2016 soccer tournament is of the 5v5 format (4 players plus a goalie) to help all players develop their individual skills. Only a one day tournament. The games will be played in nice grass fields. -- One day tournament. The tournament will start around 9:00 AM. -- Age groups: unlike most tournaments, this tournament will be calendar year (January 1) and NOT STYSA format (August 1). These will be the age groups we will have (please notice the calendar year). -- Deadline to register a team is Monday, July 11 , 2016. The Check-in is mandatory. No team may play in a game without checking-in. Check-in: at least 40 minutes before the first game. Teams must pay the registration fee and fill-in the official roster form. All check-ins must be done at the Main Tournament Tent. -- Players do not have to be present, just an adult person (team representative) from the team. -- The team representative will turn-in the official tournament roster. -- Please see the proof of age section. Click on the age group to see the schedule.